Here are a few pictures from this good looking couples engagement shoot. 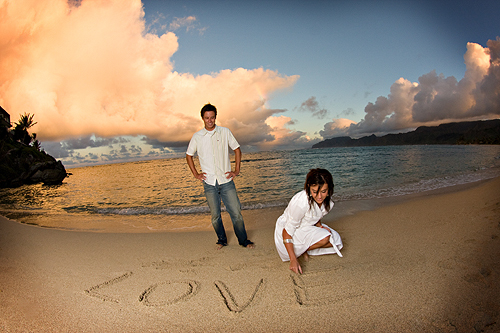 Keep an eye out for pictures in December of their wedding at the Laie Hawaii Temple. Congratulations Katey & Darren! Those are beautiful. I love the fish eye lens ones. You are so talented. What a blessing for them! These are some of my favorites Mark!! Awesome job. What kind of lens are you using on these. Wide I assume. and a canon 16-35L. I love using the fisheye.